The Nissan Sentra is built for drivers who seek value, versatility and style in a small car. Nissan's latest Sentra compact car is sleek, sophisticated and well-equipped, even in base trim form. Like in other Nissan vehicles, drivers will find the new Sentra comes with a high-tech cabin at an affordable price. Vann York Nissan invites car shoppers near Greensboro, North Carolina to explore our large selection of 2016 and 2017 Nissan Sentra sedans in stock. Shop our new Nissan inventory now to locate a 2016 Sentra or 2017 Sentra near Greensboro that you want to drive home! For more reasons to choose Nissan and the new Sentra, continue reading! A fuel-sipping inline 4-cylinder engine and front-wheel drive (FWD) come standard on every 2017 and 2016 Nissan Sentra. The recently redesigned Sentra has impeccable efficiency thanks in part to its advanced Xtronic CVT (continuously variable transmission). Nissan's exclusive Xtronic CVT gearbox that has been continually refined and upgraded over more than a decade to provide exceptional fuel economy and smooth acceleration and power delivery. With fuel economy figures that rival smaller cars and even some hybrids, the Nissan Sentra is a wise choice for the modern, fuel-conscious driver. When you explore the cabin of a 2016 or 2017 Nissan Sentra compact sedan at Vann York Nissan, you may feel as though you have landed in Nissan's mid-size or full-size sedan. That is because Nissan continually sets the bar higher for compact sedans with its surprisingly upscale Sentra. With standard amenities like Bluetooth wireless connectivity, a large infotainment display, air conditioning and multi-way adjustable front bucket seats, new Sentra drivers get exceptional value for their money. If you opt for a higher trim level on the new Sentra, you will be rewarded with amenities like heated front seats, leather-trimmed seating and even a NissanConnect system with Navigation and Mobile Apps. Are you ready to get into your new Nissan Sentra near Greensboro, NC? Then shop the superb inventory of Nissan cars for sale at Vann York Nissan! Located in High Point, NC, our Nissan dealership is just minutes from anywhere in Greensboro and surrounding North Carolina cities. Before your visit for a test drive of your new Nissan Sentra, go ahead and get pre-approved for a new auto loan here on our website. Once you drive home in a sleek new Sentra, know that our Service Department is here for any future routine maintenance your Nissan may require. 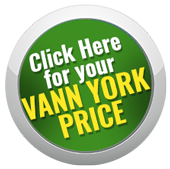 Visit Vann York Nissan today!